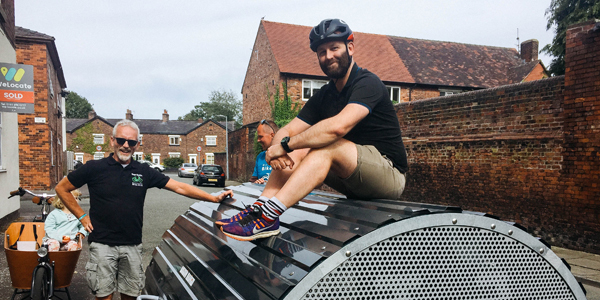 Over the summer of 2018, we installed the first new batch of Bikehangars in Salford, Greater Manchester. 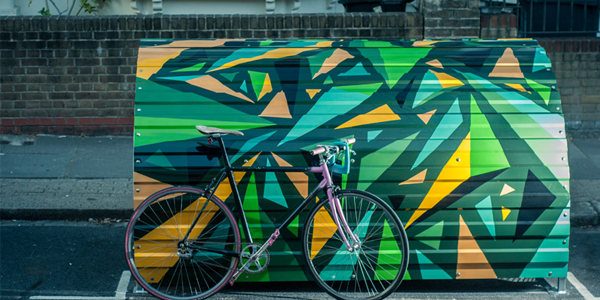 In 2018, Cyclehoop designed and delivered two major Cycle Hubs for the London Borough of Enfield. 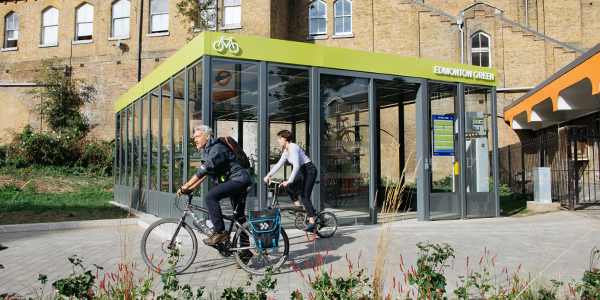 These were the first Cycle Hubs in the borough. 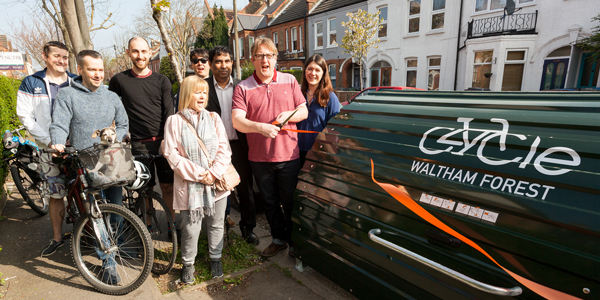 The London Borough of Waltham Forest jumped onto the Bikehangar Rentals Scheme in 2015 as part of the council’s Mini Holland programme. 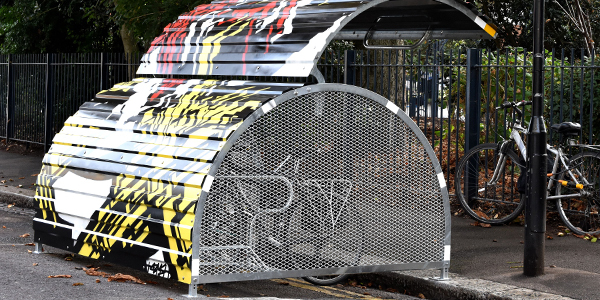 Our Bikehangar Rentals Scheme was first taken on by the London Borough of Hackney in July 2013. Our Parklet, which has taken up residence outside Brackenburys Deli in Hammersmith has the healthy streets approach at its heart. In 2017, we installed two new Bike Ports outside the bike shop Cycling Made Easy on the Brighton Road in Coulsdon. 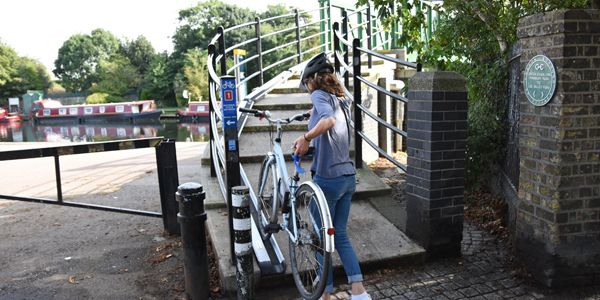 In 2016 we installed our new improved Bike Wheeling Ramp on the bridge across the River Lea at the bottom of Spring Hill at Springfield Park. 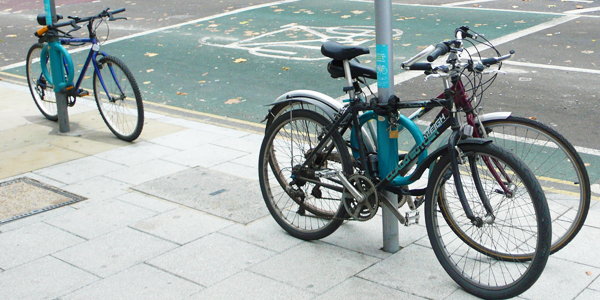 Our specially developed Bikehangars were first ordered by Lambeth Council and installed on their streets in February 2013. 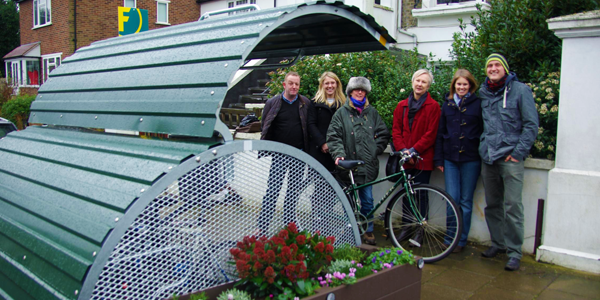 In 2014, the London Borough of Bromley celebrated the long-awaited installation of its very first Bikehangar on Tudor Road, Annerley. 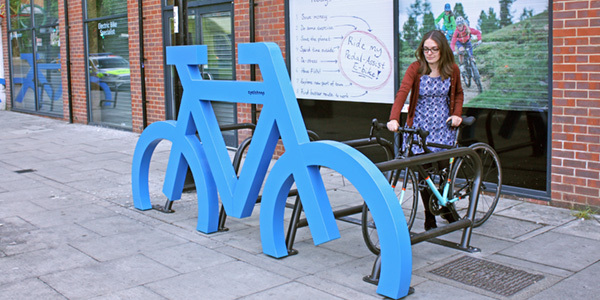 WANT TO KNOW MORE ABOUT THE CYCLEHOOP? 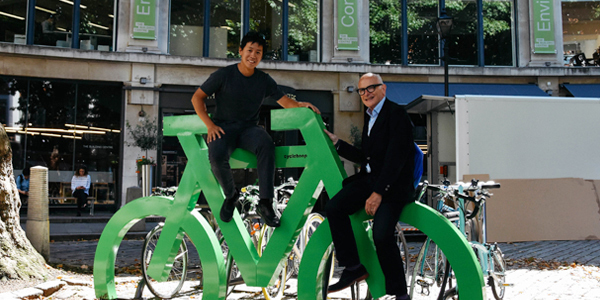 The Cyclehoop is our first product, invented in 2006 by Anthony Lau (Cyclehoop MD) when a thief stole his bicycle by lifting it over the top of a signpost. 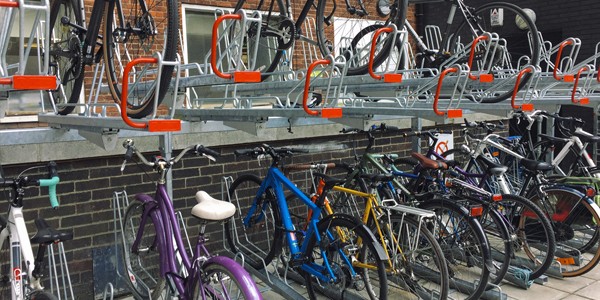 Earlier this year we were extremely proud to transform the cycle parking provision for employees and visitors at Guy’s and St Thomas’ NHS Foundation Trust in London. 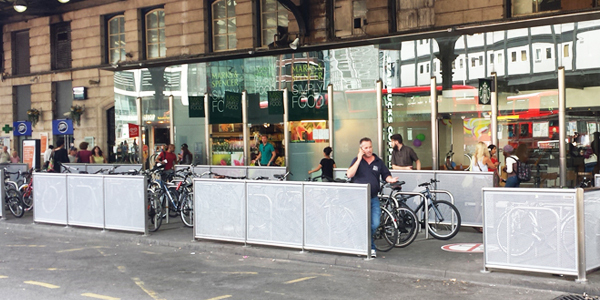 In 2014 Cyclehoop were commissioned by Network Rail to find a cycle parking solution for Victoria Station. Cyclehoop are pleased to have completed improvements to Finsbury Park Cycle Park on behalf of Transport for London (TfL) in April 2017. 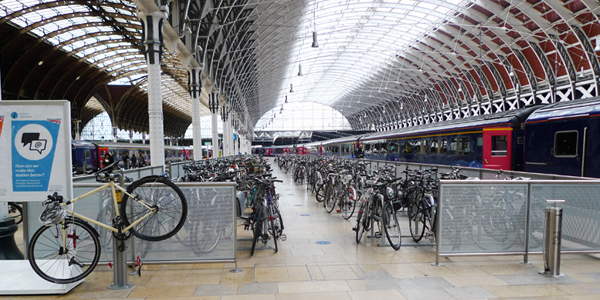 In 2013, Cyclehoop were approached by Network Rail to find a cycle parking solution for platform 9 in Paddington Rail station. 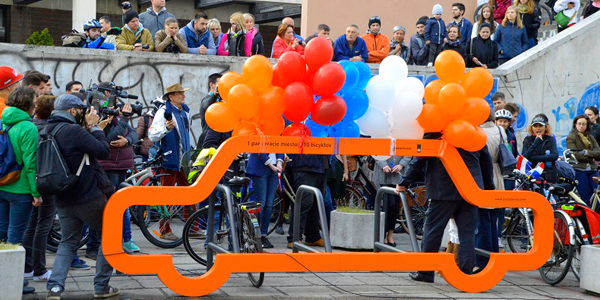 Did you see our Car Bike Ports and Bike Ports in Hackney on Car Free Day 2017? 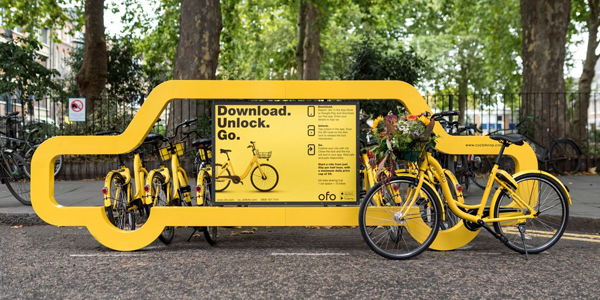 In 2017, Hackney Council hosted a plethora of events across the borough with Ofo on World Car Free Day. 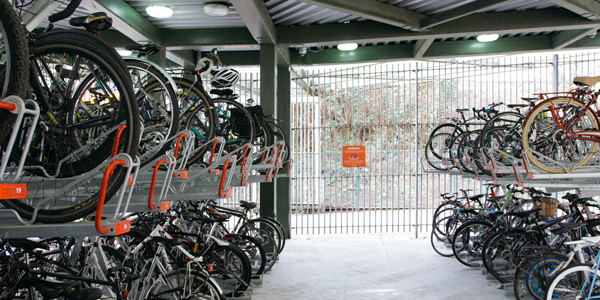 In August 2017, our Bike Port took up residence at the NLA at The Building Centre in central London for a month. 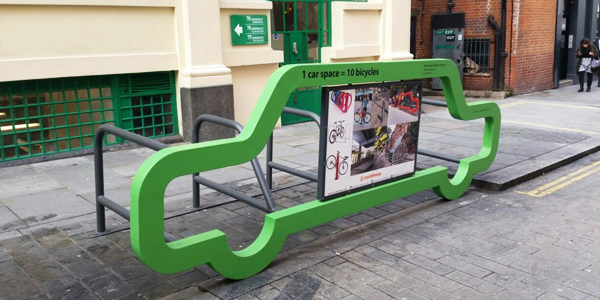 Our Car Bike Port is an eye catching and innovative design that fits into a standard car parking space and provides parking for ten bikes. 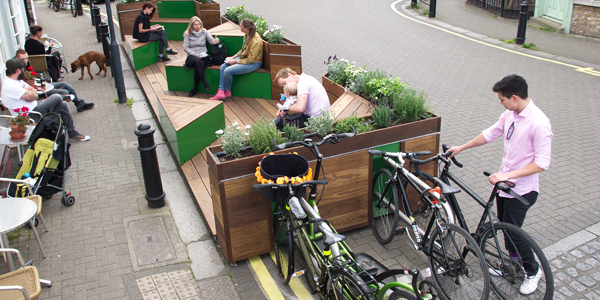 In 2015, Sustrans introduced a brand new “street kit”, as a way of trialing temporary public parks and social spaces in London. 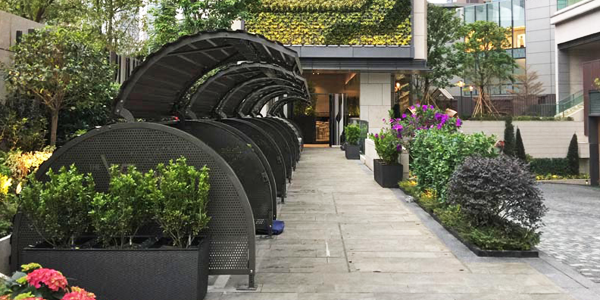 Hong Kong has taken a step forward in welcoming a four space Bikehangar to the city. 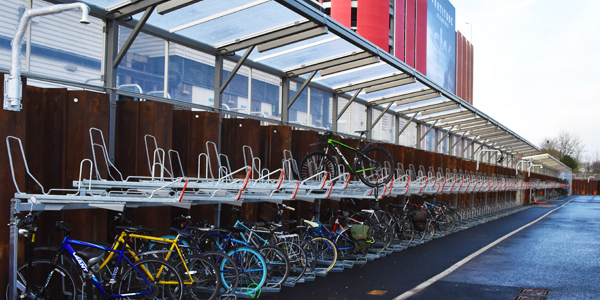 In 2017, we delivered a large install of two tier cycle parking at the Sky site in Twickenham. 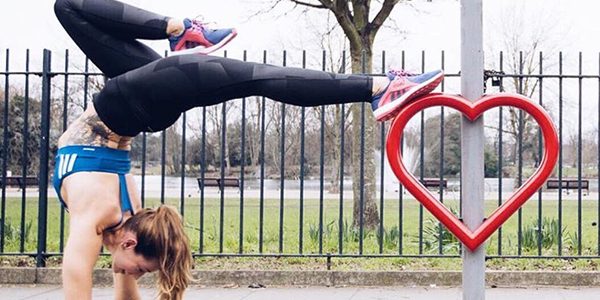 In February 2015, Cyclehoop teamed up with the British Heart Foundation and Hackney-based artist Graham McLoughlin to place 14 #HeartsofLondon cycle stands across central London. 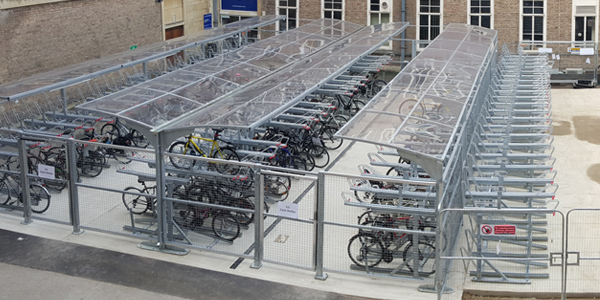 In 2015, we delivered our largest ever install of two tier cycle parking in the UK at the prestigious Cambridge University, the world’s fourth-oldest surviving university.